With Via, you do not need to sacrifice style to save energy since this fixture provides both. An architectural inspired light that features a modern profile and an etched glass diffuser. Constructed of durable materials for years of enjoyment. 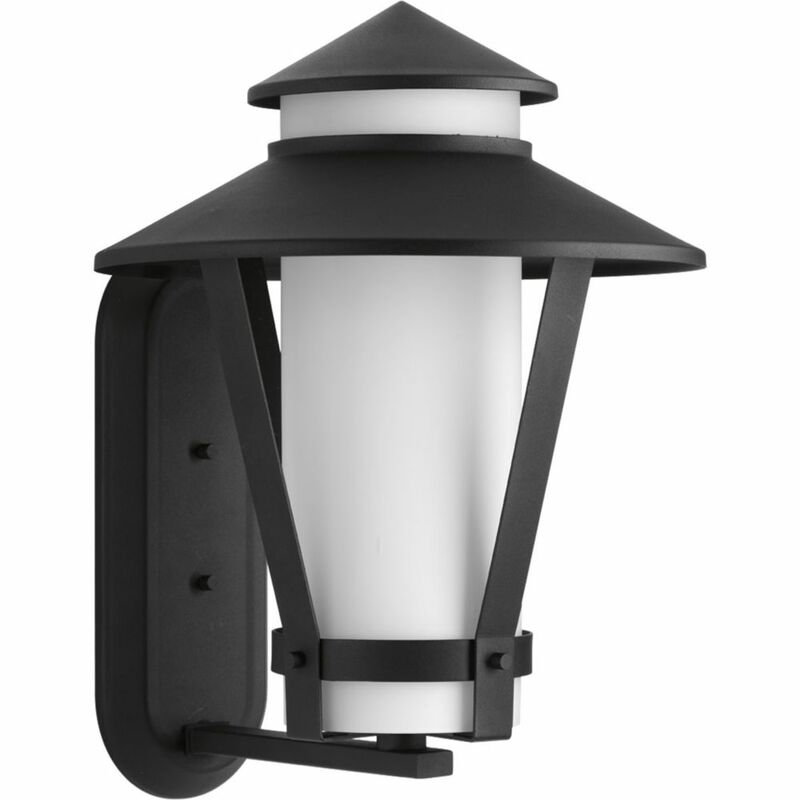 This outdoor wall lantern nicely accompanies the outdoor decorations of contemporary and modern style homes. The low profile design allows this fixture to fit seamlessly into your outdoor dicor. Durable weather resistant cast aluminum makes this a sturdy fixture for the outdoors. Impressive and stately, the Crawford Collection is finely crafted from die cast aluminum for long term performance and features a rich hand painted finish. In addition to the beauty the glass provides, it also serves as a clever diffuser for an energy saving compact fluorescent bulb. An integral photocell automatically controls operation from dusk to dawn to further extend the energy conservation benefits. Derby features a traditional Craftsman profile, but with a simplified, more modern interpretation. Building upon the rich history of this tradition, Derby is ideal for today's homes featuring bungalow and lodge-style architecture. Textured, clear glass is framed within a cast aluminum housing with a durable powder coated finish. Via Collection 1-Light Black Wall Lantern With Via, you do not need to sacrifice style to save energy since this fixture provides both. An architectural inspired light that features a modern profile and an etched glass diffuser. Constructed of durable materials for years of enjoyment.